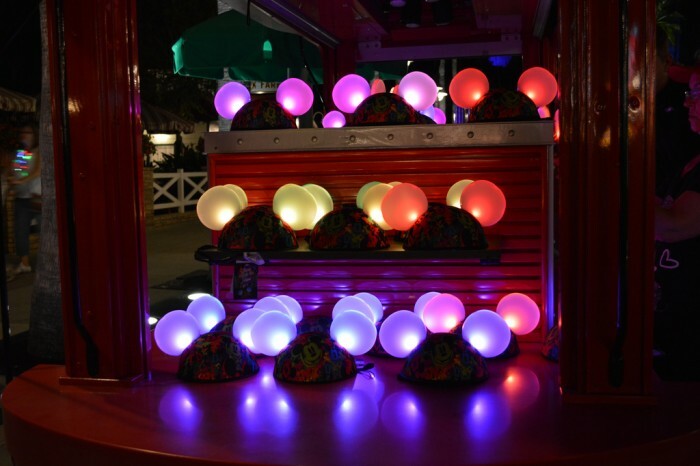 The classic Mickey Ears are THE iconic souvenir at Walt Disney World and one whose popularity has exploded in the last decade. Besides the classic black ears, there are now Mickey Ears for almost any part of the Disney fandom: princesses, pirates, Muppets, Star Wars, World Showcase, and almost any Disney character you can imagine. 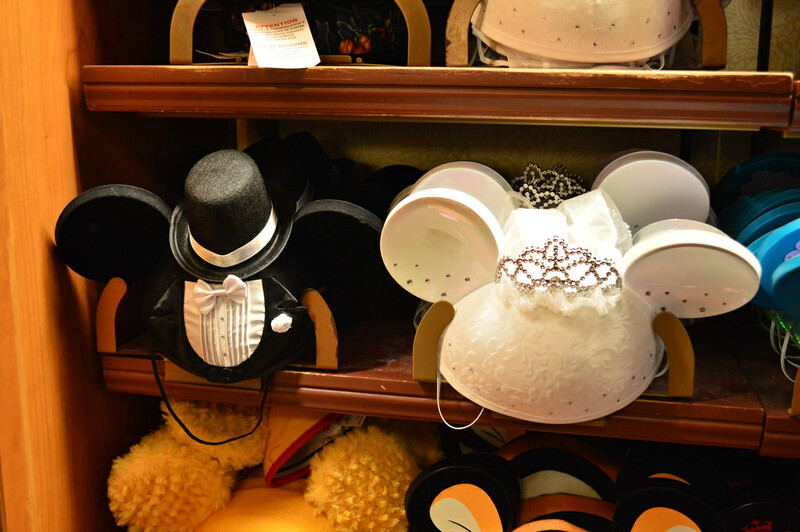 Who hasn’t seen a newlywed couple at the parks wearing bride and groom Mickey Ears? Getting a pair of Mickey Ears has become part of the Disney experience itself. 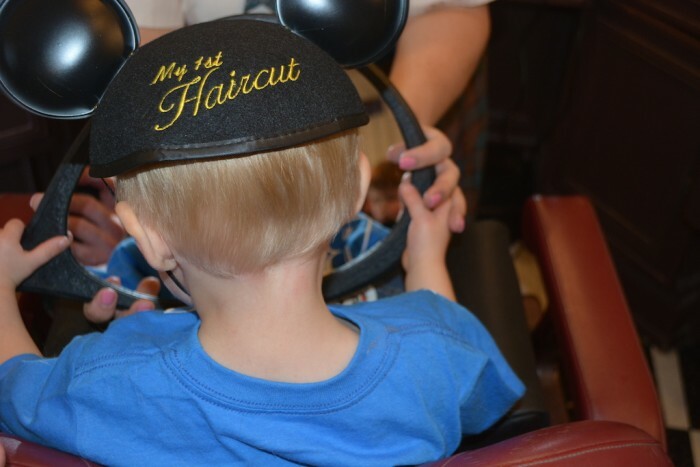 Even the Main Street Barbershop has a special pair of Mickey Ears! You can even custom make your own pair of Mickey Ears! 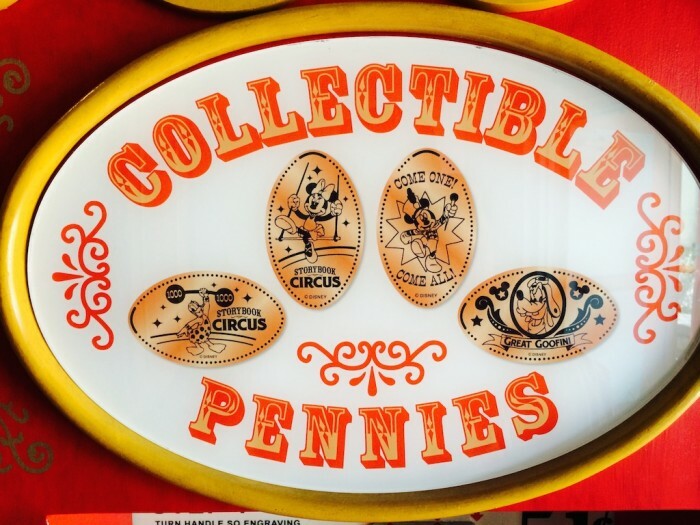 Pressed pennies are hands down the most economic souvenir choice on Disney property. Each costs 51 cents (although there are also pressed dimes in Tomorrowland, and pressed quarters across property that cost slightly more) and are small enough to easily collect a bunch without having to buy an extra suitcase for the trip back home. 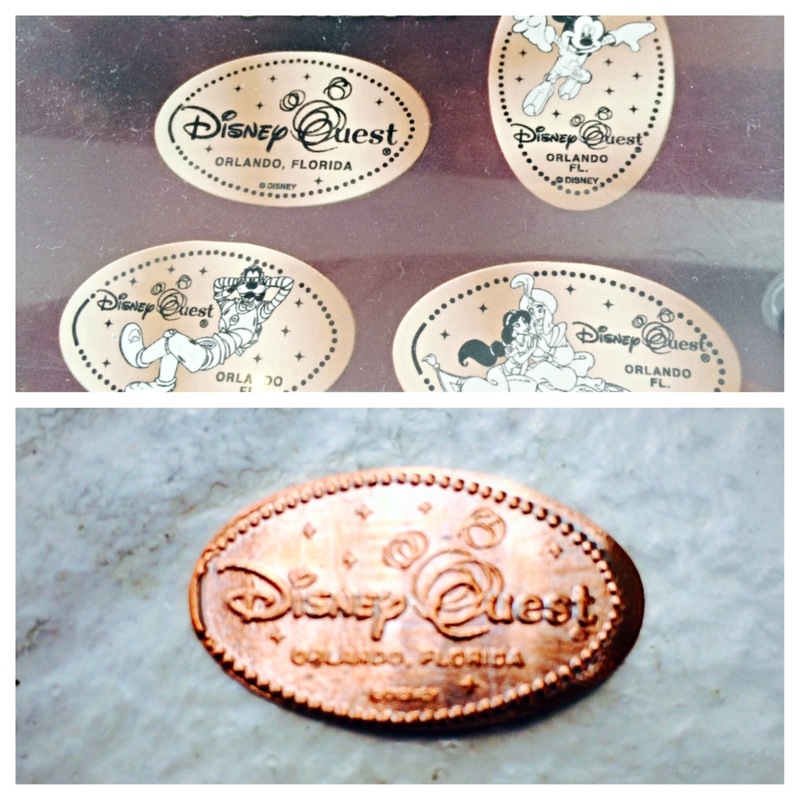 Pressed penny machines are EVERYWHERE at Walt Disney World: the theme parks, resorts, water parks, mini-golf courses, and even Disney Springs. Some people like to collect their favorite characters, while others like to get one as a memento of places where they have stayed at, like Port Orleans. Pressed penny designs at Storybook Circus. Pressed penny selection with a New Orleans theme at Disney’s Port Orleans resorts. 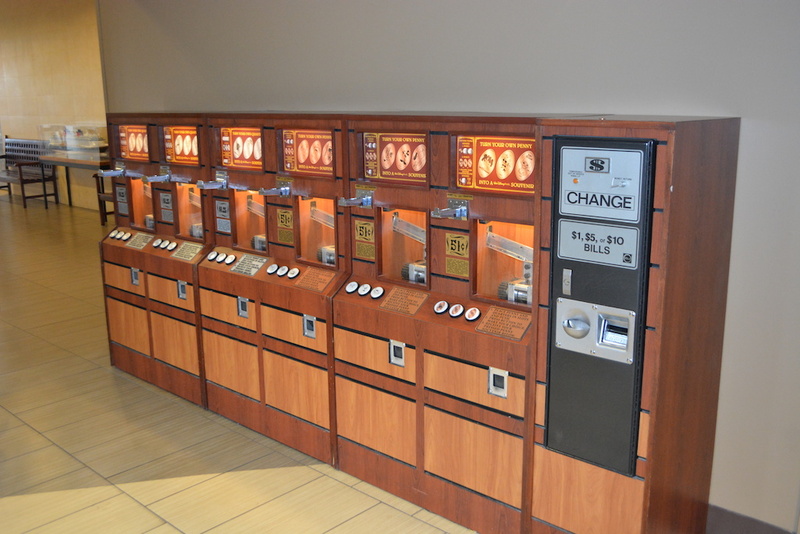 Pressed penny bank of machines at The Contemporary. 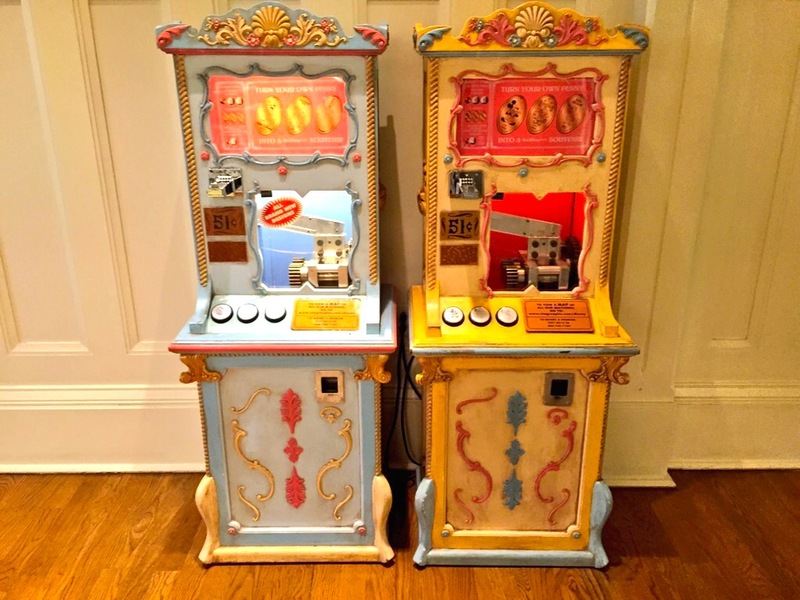 The most well themed pressed penny machines on Disney property are at the BoardWalk resort. We are currently in a golden age of theme park souvenir cups. 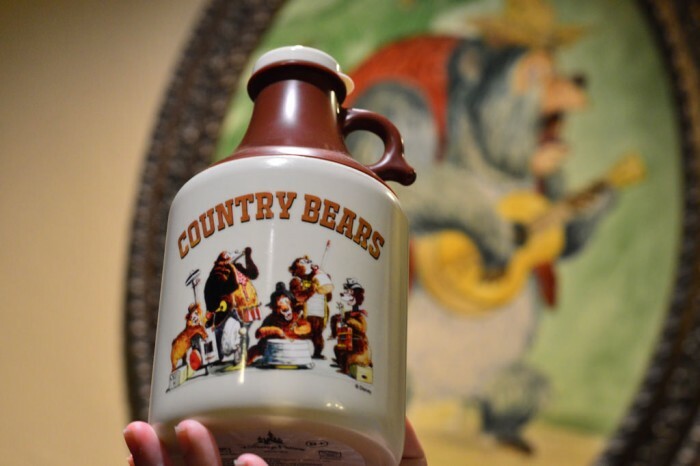 Recently on Twitter I held a Souvenir Cup Tournament and it seemed everyone had their personal favorite, from the Orange Bird sipper available in Adventureland, to the lighthouse themed cup at BOATHOUSE, to the incredible new Country Bears jug in Frontierland. 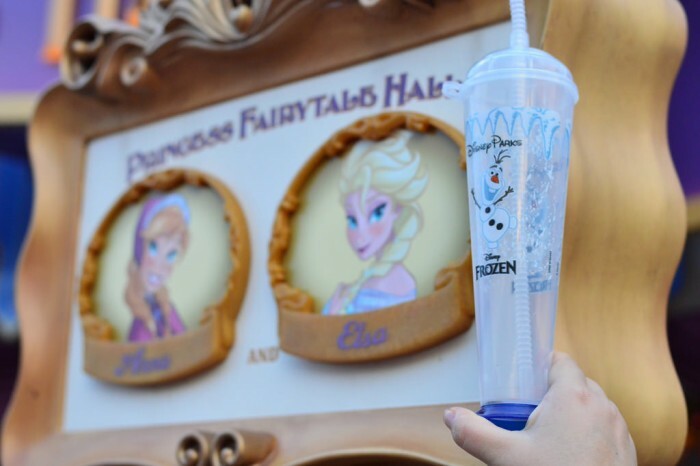 The designs of Disney’s souvenir cups are becoming so well themed that they are rivaling their more expensive counterparts in the resort’s gift shops. 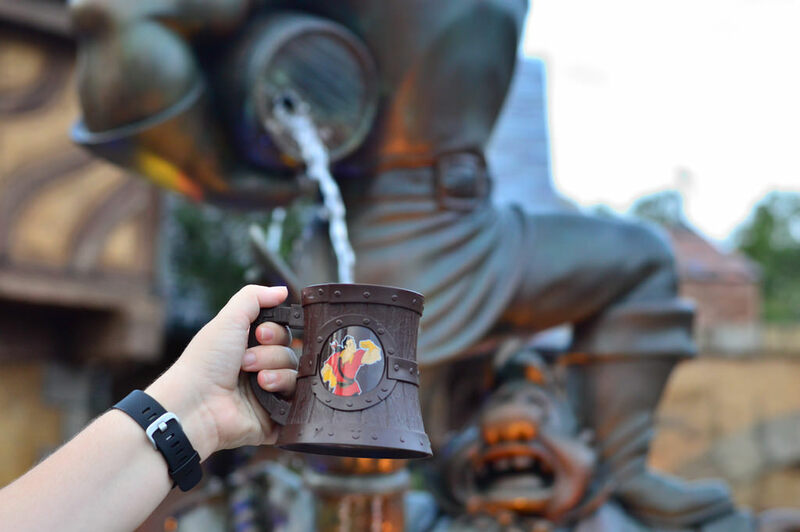 We’d also like to nominate Trader Sam’s Grog Grotto into the Souvenir Cup Hall of Fame as they took themed drinkware to a new level (some even have show elements that are played in the bar when you order them). Dani has a Complete Guide to Grog Grotto Tiki Mugs that shows exactly why Trader Sam’s is head and shoulders above the pack. If there is one complaint about current WDW merchandise, it is that many of the gift shops are becoming exactly the same. What you see in one park is exactly what you see in another park, and this extends over into the resorts. 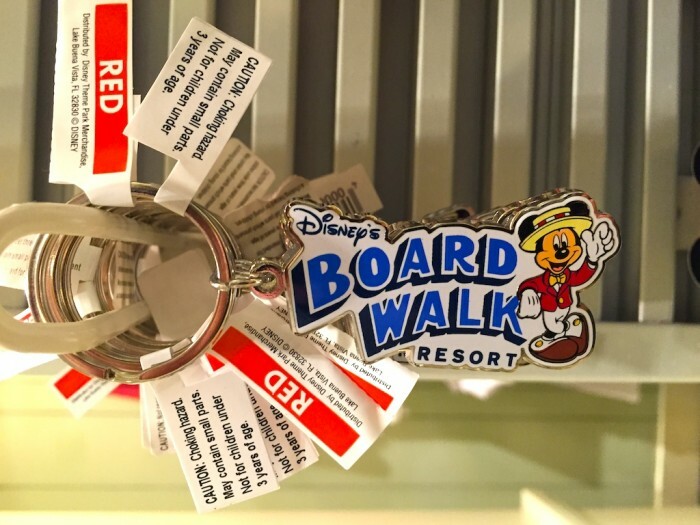 I don’t know about you, but when I look through souvenirs of my vacations growing up, one of the things I enjoy seeing the most are items from the Disney resorts my family has stayed at. We have magnets from the Animal Kingdom Lodge and Art of Animation, shirts from Port Orleans French Quarter and pins from The Contemporary and Old Key West. 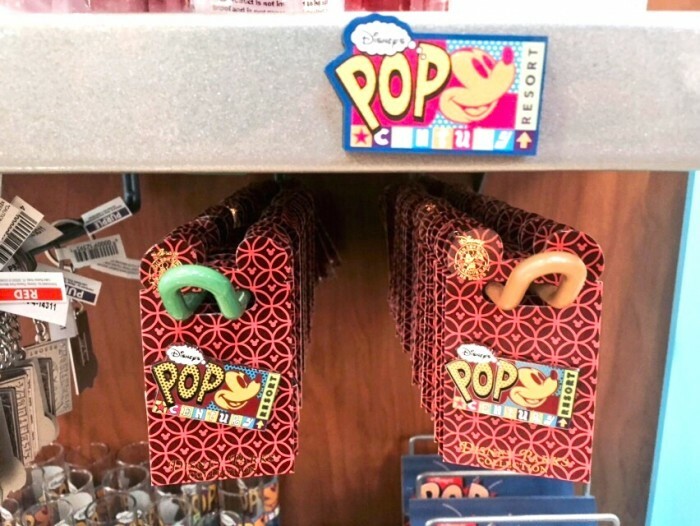 It also seems like WDW has been ramping up resort specific merchandise over the last year or so, including taking Pop Century from one of the weakest of all of the resorts (merchandise wise) to one of the best. Pop Century magnet and pins. 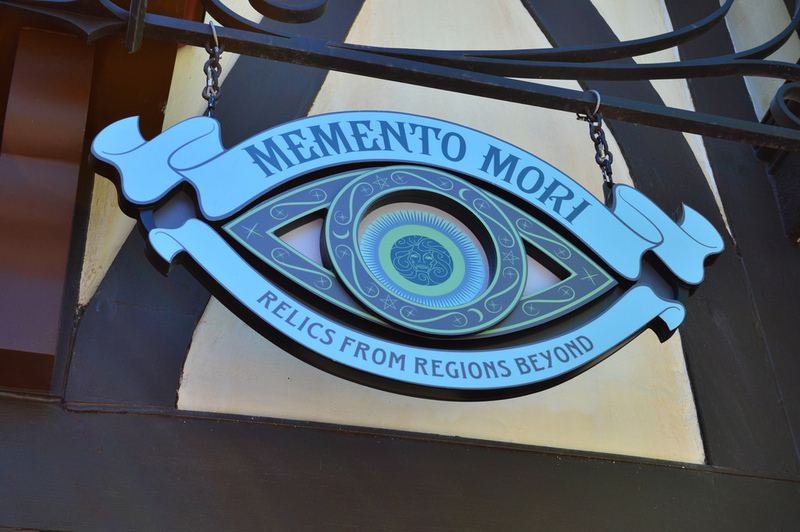 Having just said that many gift shops across WDW are selling the exact same merchandise (goodbye Villains in Vogue, you will be missed), we do have to point out a new shop at the Magic Kingdom that is doing the complete opposite: Memento Mori. 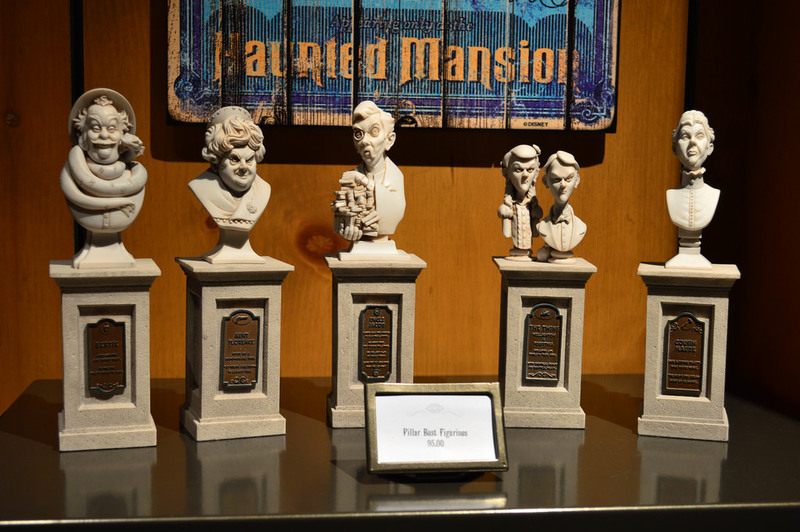 The unofficial gift shop of the nearby Haunted Mansion, Memento Mori is filled to the brim with exclusive items that you won’t find anywhere else, but the best item is one that allows you to transform yourself into a ghost. The backstory of the photo is that you are inside a witch’s house and having a portrait done of your corruptible mortal state. Your visage will transform – or decay if you will – as you move the photograph. Unique to the Magic Kingdom, this photo gives each guest a keepsake that feels as if it could adorn the walls of the Haunted Mansion itself. 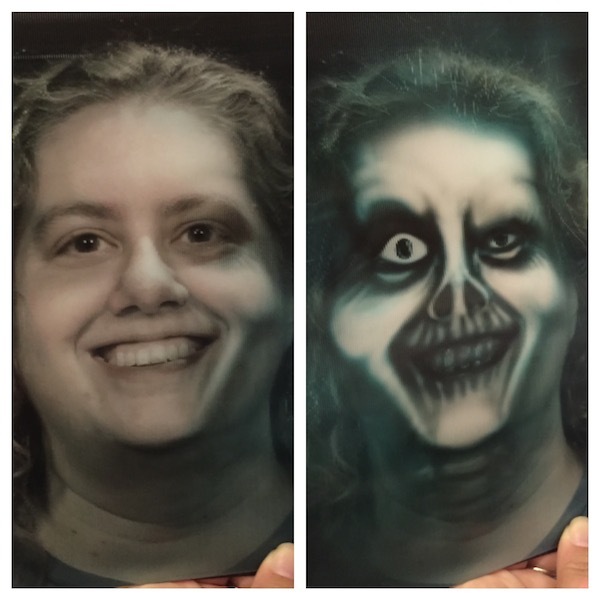 Watch what happens when a theme park blogger becomes a Happy Haunt! 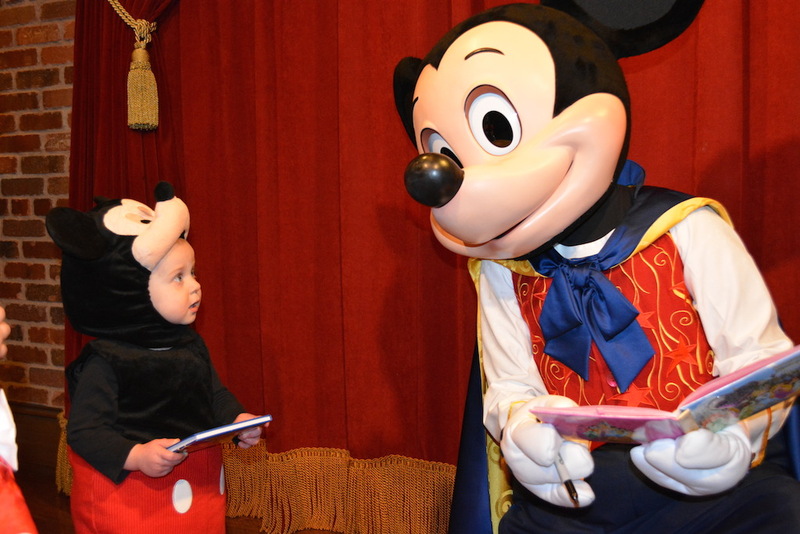 We have said it several times in the SATURDAY SIX but it bears repeating: Meet and Greets are becoming one of the most important aspects of a Disney vacation, rivaling guest’s favorite attractions, resorts, and restaurants. 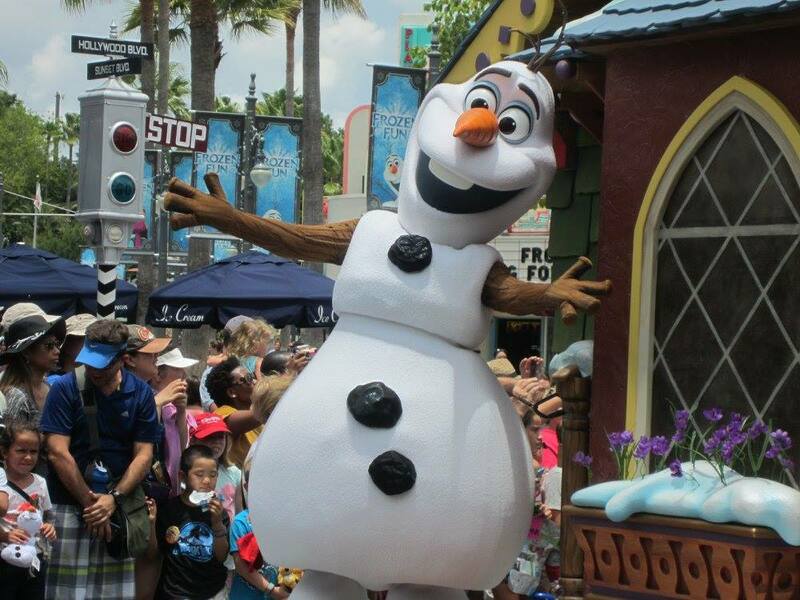 Theme parks now join other hobbies where autographs have become big business. How many sporting events do you see people hanging over barriers trying to hand athletes items to sign? Comic conventions are filled with readers lining up to having their favorite books autographed by the creators. 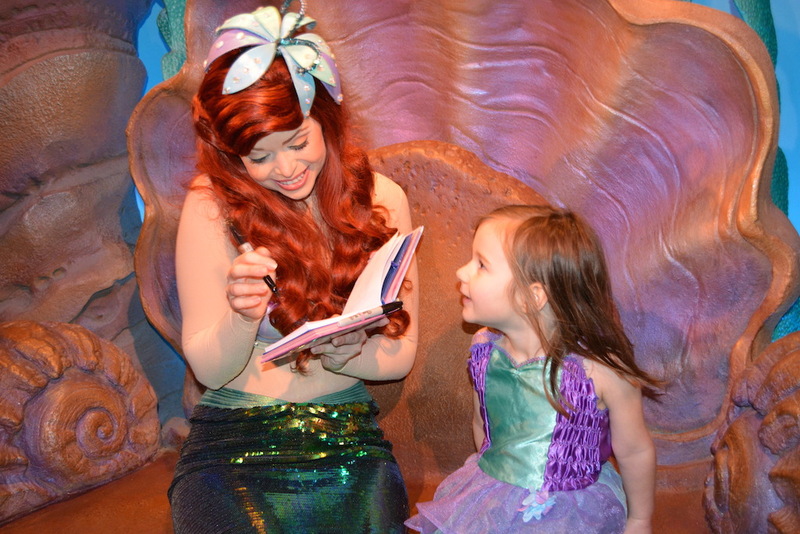 With Disney, autographs are just part of the experience. Not only do you get to interact with the character, along with take a photo, but the sheer amount of detail in the autographs can bring a smile to even the most jaded fan’s face. 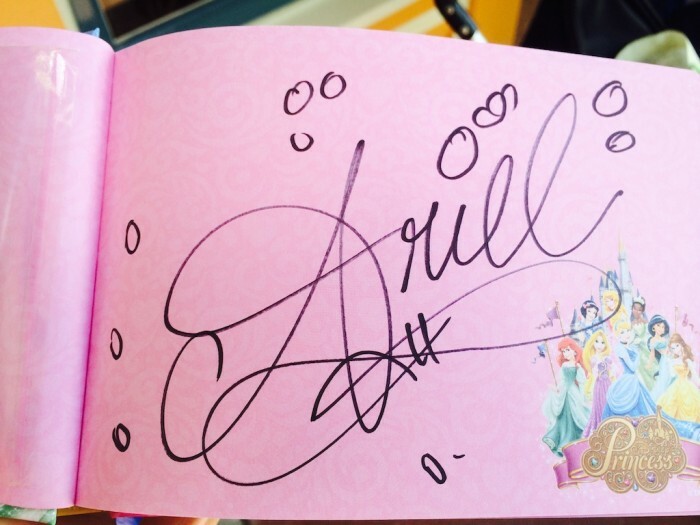 From Goofy having a backwards letter in his John Hancock to Donald Duck writing he’s “#1,” to Ariel adding air bubbles around her name, these autographs are more than just signatures, they are memories. Ariel meets a little mermaid. The details in some of the autographs are tremendous. 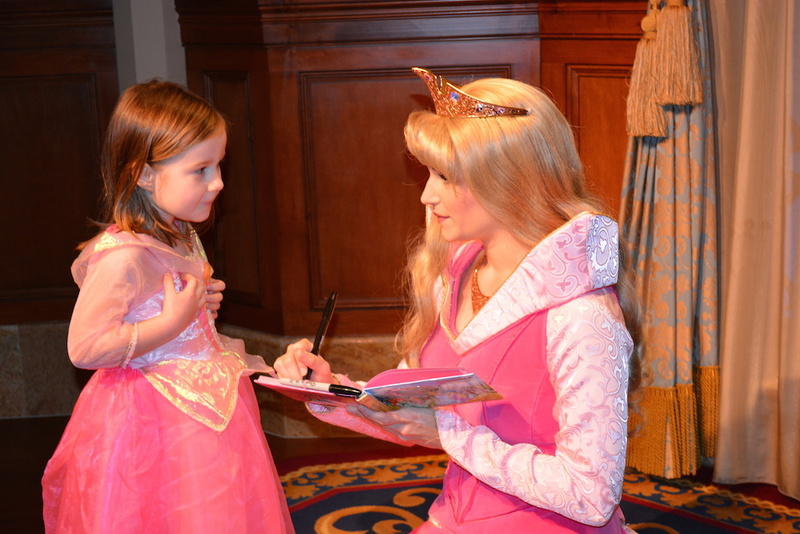 Princess Aurora signs for one of her lovely subjects. From one mouse to another. This particular souvenir is more of a personal choice, as it is something we here at the SATURDAY SIX offices have wanted for years. We’ve seen pictures of people who set up a monorail loop around their Christmas tree, and are green with envy. We see The Contemporary accessory at Once Upon a Toy in Disney Springs or The Poly accessory on eBay and for both we want to Buy. It. Now. 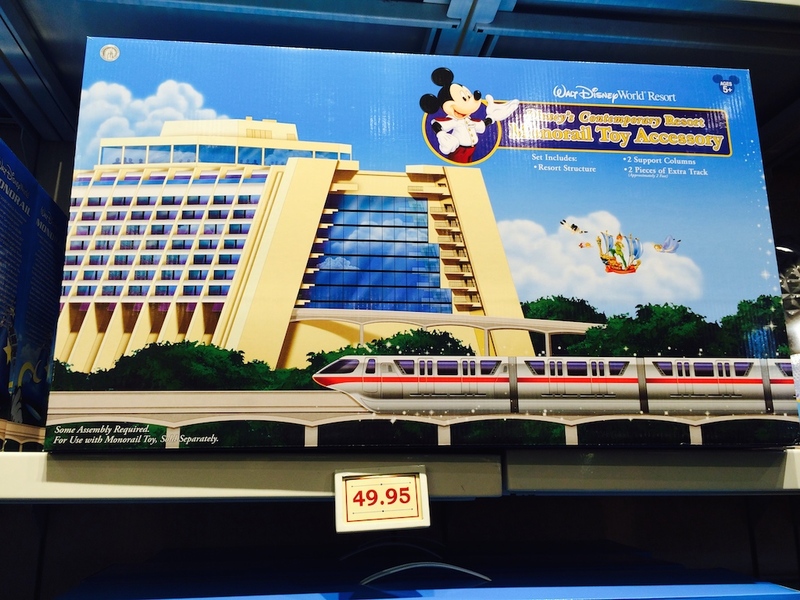 One day we will have this monorail toy in our collection, and fulfill a lifelong dream. But for now it just brings a huge smile to our face every time we pass by at Walt Disney World, and that’s what these vacations are all about. 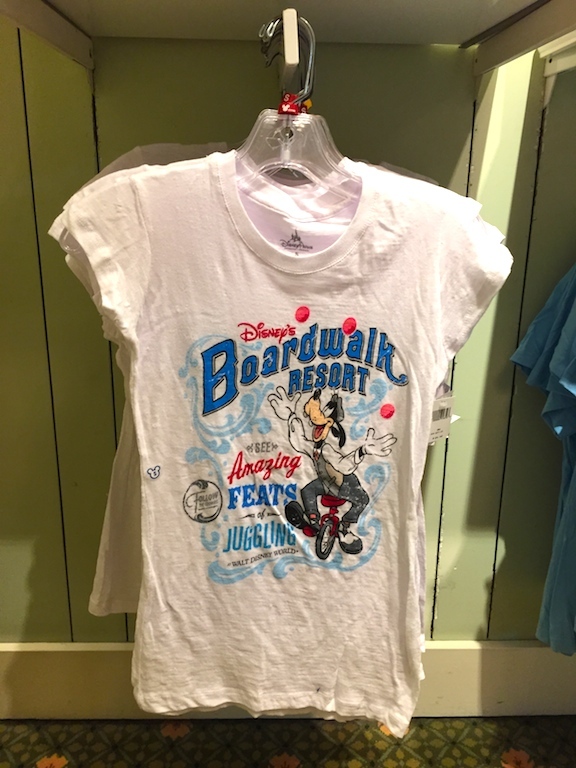 A wonderful shirt from Disney’s BoardWalk Resort. Special Thanks to crack staff photographer Brandon Glover, Confessions of a Disney Nerd‘s own Stacey Lantz, and blogger to the stars Megan Stump for their invaluable assistance with this article. Be sure to also check out Brandon on The Park Blogger podcast with co-hosts Aengus Mackenzie and Brian Carey. 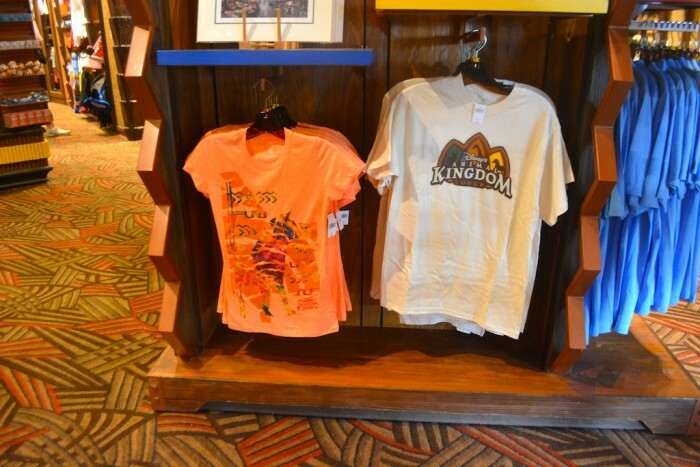 Agree with the Resort-specific merchandise but I find that some resorts have better selections than others. Earlier in the year, we bought several items when we stayed at Wilderness Lodge – especially a nice travel mug and a few t-shirts. I was disappointed with the Polynesian this past weekend. A wide variety of Hawaiian shirts, but none of them were Polynesian-specific. I found one t-shirt for the Poly – didn’t like it. There was a Trader Sams t-shirt, two Dole Whip shirts. I would have thought a flagship Disney resort would have had more merch. 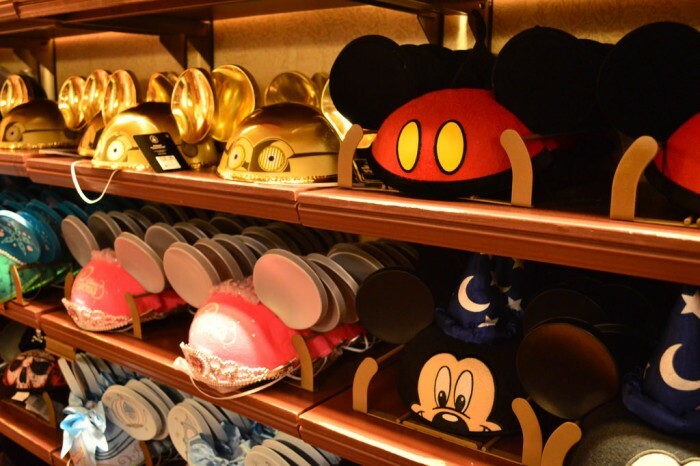 In general, the higher up a resort is on the Deluxe/Moderate/Value chain the more exclusive merchandise it has, but that has been changing recently as a lot of the mid tier hotels have gotten a huge bump in items. Hoping for some good Port Orleans merchandise for our upcoming trip, we don’t usually stay onsite so I’m excited! Also Memento Mori opened about a week after my last trip and Haunted Mansion is my favorite ride, so I can’t wait for that also. I broke down last Christmas and finally got the Monorail to go under the tree. I can’t wait to put up tge Christmas tree just so I have an excuse to set up the Monorail. These are all great! I haven’t even seen Memento Mori and am going to have to check it out now. I love pin trading as part of my Disney souvenirs and with so many options, you can really get great memorabilia. I’ve had the monorail for years and it’s graced our tree every year. I love it! We love autograph books but we do something a little different…I take past photos of the kids with the characters and make a mini soft cover photo album from shutterly (or snapfish…whoever has a deal going on) and then the character signs ‘their’ page. 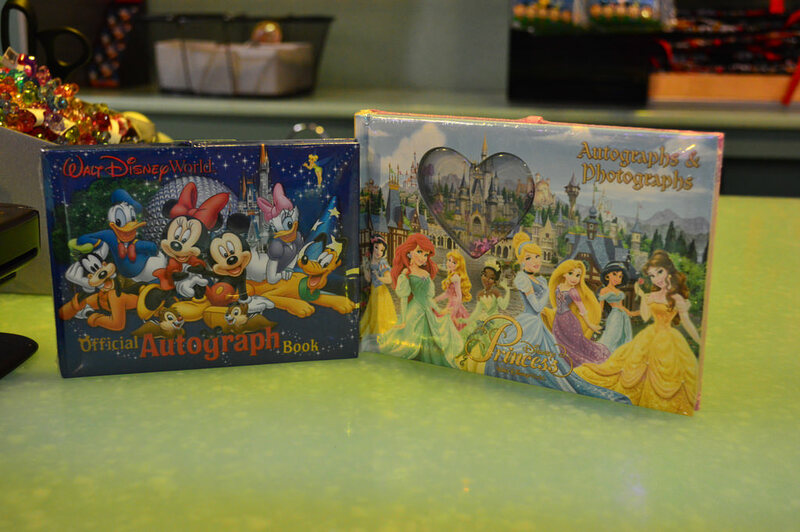 We never really looked at our plain autograph books but we look at these mini photo albums all the time. And the characters really get a kick out of it. Minnie was so impressed with her page she ran to show the photopass photographer and Donald liked his so much he ran all the way over to Goofy (where they meet around where the Sorcerer Hat used to be in HS) to brag about his page, doing “#1 one” with his finger and pointing to his picture, lol. Have the monorail, it’s not just for Xmas! Was disappointed in the lack of Hawaiian shirts at the Polynesian Xmas of ’14, only one real shirt. Our son bought the Monorail several years ago and I, I mean he, insists on putting it around the Christmas tree each year. What I would like to see is a wrap to go around the cars to make them just like the ones at the parks when they are decorated for special events (like the Avengers or Tron movie premiers). My dad will never get rid of his Dixie Landings T-shirt that he got in 1997. He doesn’t wear it anymore in order to keep it in good condition. 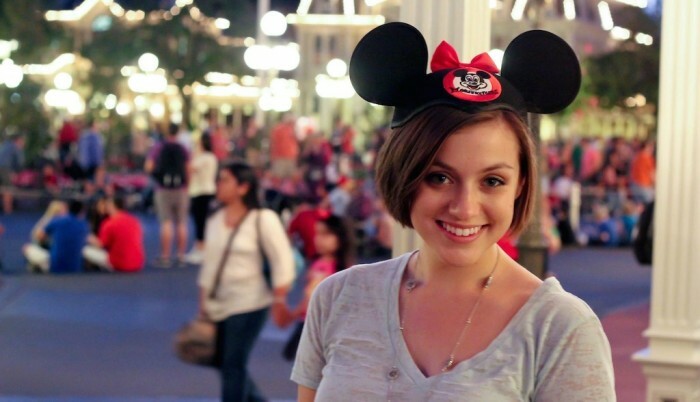 Been to DisneyWorld Florida twice currently in my lifetime. Gotta say, as a pin badge collector since my youth I was astounded that such a thing as a pin trading station or just pin merchandise had existed within the Disney theme parks since goodness knows when. I had a blast gawking (and trying hard not to ruin my wallet…..so much) at some of the pins. For me, they make great souvenirs and they’ve gotten more inventive with the designs I see over the years when you look at the collections. Surprised you hadn’t mentioned them unless 1.) it’s not your thing, which is fine it’s your list, or 2) They’re up there on the on #3 of the list as resort specific merchandise. I often saw specific pins in their respective parks but very rarely. Otherwise you saw them in any of the parks. Pins are definitely the most ubiquitous souvenir across Disney property and deserve their own edition of the SATURDAY SIX. I know why you like ’em, and I do too, but I don’t really think pressed penny machines are all that iconic to WDW. They are, after all, found all over the country. 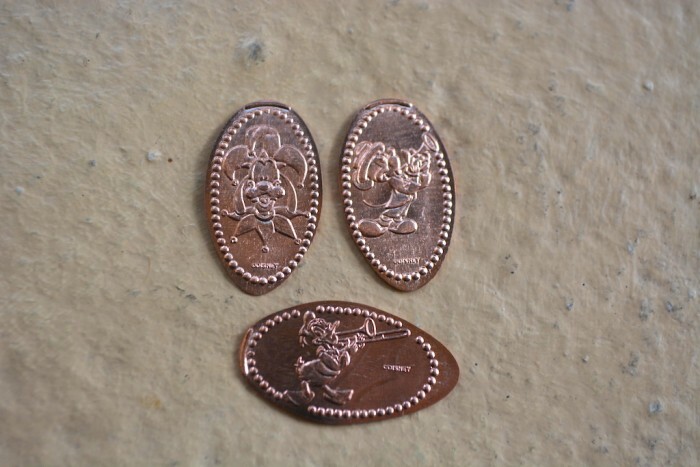 Other than the images that get pressed into the pennies, there’s not much about them that is specific to Disney. If that makes sense.